These noise-cancelling cans are stylish and they sound great, but that's not enough to put them at the top of our list. 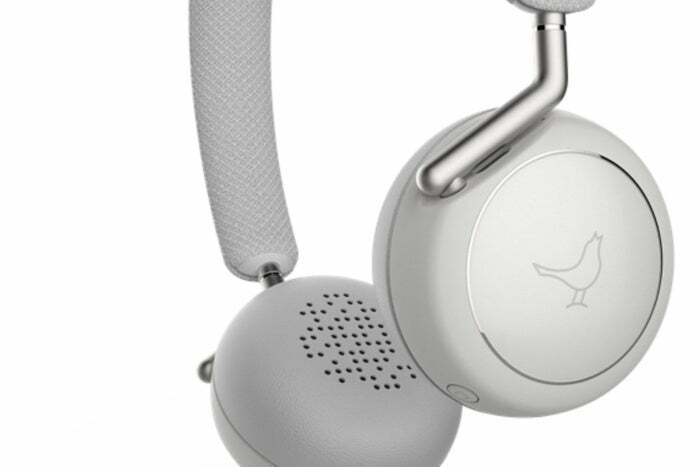 Headphones with active noise cancellation (ANC) can filter out the noise pollution that accompanies modern travel, whether it be the low-frequency rumble of a jet engine or the drone of a train or bus on your daily commute. Basic ANC technology has been around for years, and batteries are becoming good enough that it can be used with wireless models. Manufacturers have also started adding features that make ANC even more effective. For Libratone, that means giving you the power to control how much of the outside world is allowed in. The $249 Q Adapt wireless headphones don't look all that special, but they do sport Bluetooth 4.1 and they support the high-quality aptX audio codec. If your smartphone, digital audio player, or other source also supports aptX, then you can stream near-CD quality audio. They sound great, delivering well-balanced sound without any glaring sonic shortcomings. These little headphones aren't high-end models, but they do have lots of features that set them apart from the crowd. If you’re one of those people who won’t let go of the 3.5mm Y adapter that lets you share music across two sets of headphones, you’ll love what Libratone has done. With a feature they call Bluetooth Plus 1, you can connect to a friend’s Q Adapt via the Libratone mobile app and enjoy music together, wirelessly. 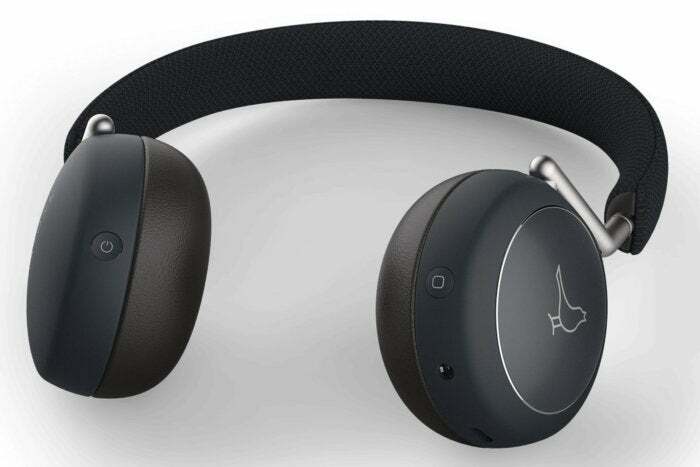 This would be even cooler if you could use it with any old Bluetooth headphone, but both models must be Q Adapt headphones, so I didn’t get a chance to test the feature. 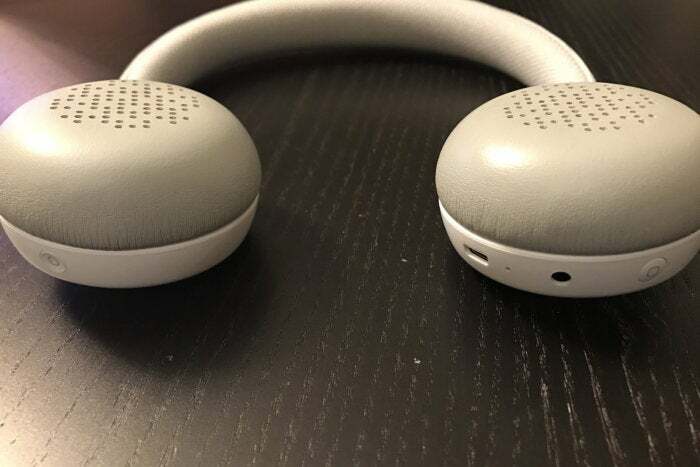 The battery charges via a standard micro USB port on the bottom of the right ear cup, and Libratone says a full charge should yield 20-plus hours of listening. 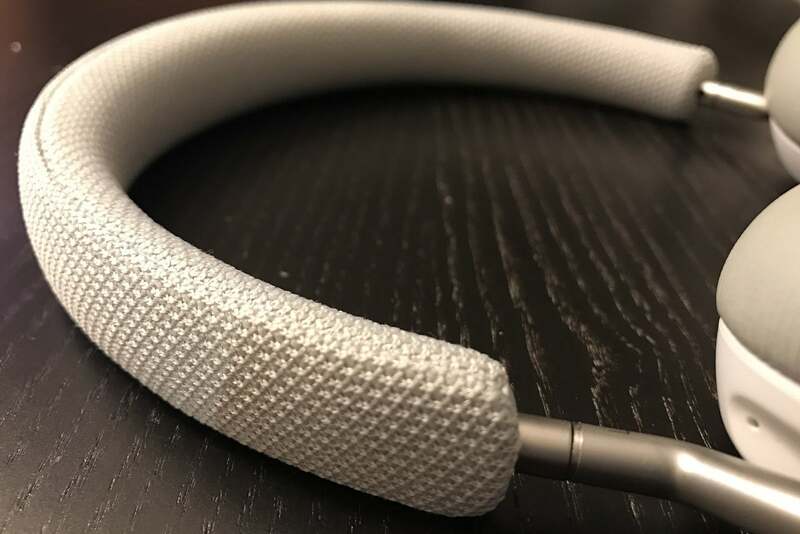 After I submitted this review, Libratone released an updated firmware for the Q Adapt that the company says increases battery life to 30 hours of continuous use, and that's with active noise cancellation at 100 percent. Recharging the Libratone Q Adapt is quick—it takes just under three hours. To reduce the need for recharging, Libratone has done some ingenious things that enable the Libratone Q Adapt to conserve its battery. The bottom of the left ear cup sports the power button, while the right ear cup has a micro-USB charging port, 3.5mm analog input, and a CityMix ANC selector. 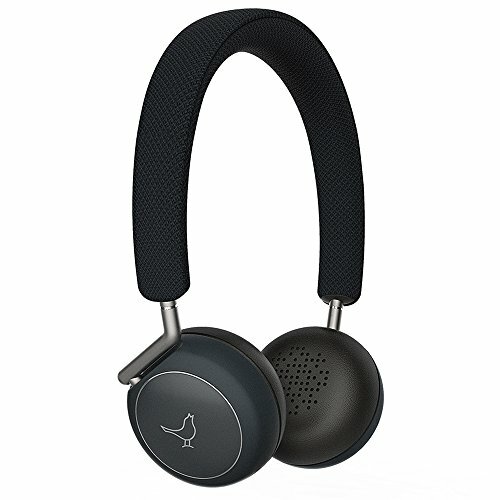 The Libratone Q Adapt has a feature called “Wear Detect” that will automatically stop the music and any noise cancellation when you take the headphones off. It’s pretty good and worked reliably in most of my testing. Lifting one of the ear cups off my ear would also engage this feature. And after 20 minutes of inactivity, the Q Adapt will power down automatically. Libratone told me that the aforementioned firmware update now gives you the ability to turn this feature off via the app. 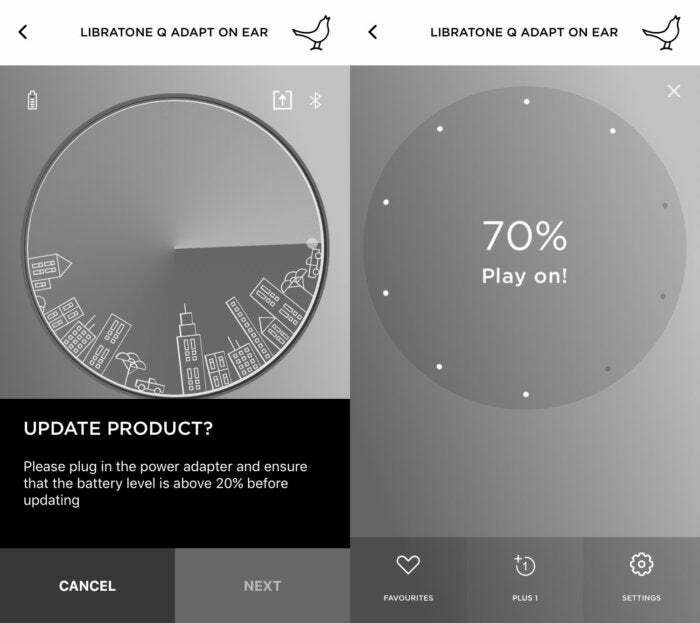 Libratone's mobile app allows you to choose from different EQ settings, pair with another Q Adapt headphone, browse internet radio statons, update the firmware, and chose your CityMix ANC settings. 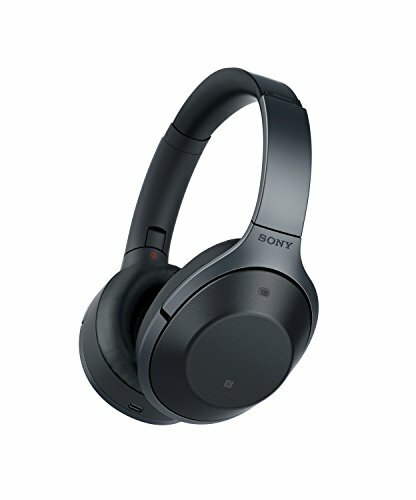 Should the battery run out, or if you just don’t want to use the headphones wirelessly, you can connect the included 3.5mm audio cable. Like most Bluetooth headphones, the Libratone features a built-in microphone, so you can use them in concert with your smartphone. I used the Libratone Q Adapt for several calls during my review period. No one complained about it being difficult to hear me, and everyone I asked for feedback said the clarity of my voice sounded great. 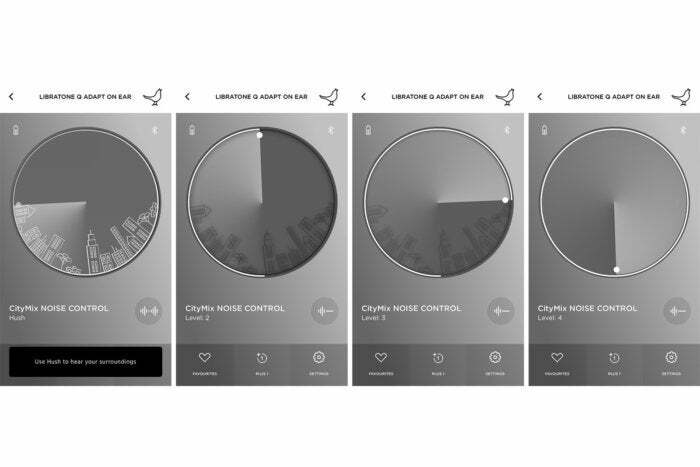 You can control most of these aforementioned features (including the CityMix noise-cancellation technology) through Libratone's Android or iOS app. It will also push firmware updates and allow you to connect to a dizzying array of internet radio stations. It also allows you to select EQ settings, and there's a visual tool for controlling the level of cancellation visually. I don't imagine most people will use the app on a daily basis, but it’s there if you need it. At 7 ounces, the Libratone Q Adapt are relatively light. The ear cups fold flat, but unlike AKG’s N60 NC headphones, the headband itself doesn’t fold. That’s not a deal-breaker if you want to carry the Q Adapt headphones in a backpack, but I couldn’t fit the Q Adapt headphones in most jacket pockets. I really liked the soft, cool mesh-weave headband, and the ear cups are a supple and soft synthetic leather with a thin layer of memory foam. They're comfortable when they sit on your ears—that’s not a small feat for on-ear headphones. The Q Adapt's soft, cool mesh-weave headband is comfortable. The right ear cup serves as a touch-sensitive, gesture control pad, giving you full access to pretty much every major function. Touching the Libratone Nightingale logo with two or more fingers toggles play/pause. Double-tapping the Nightingale with two or more fingers advances to the next track in your queue, and triple tapping takes you to the previous track. Answering or ending a call follows the same gesture as play/pause. The play/pause and volume-control gestures worked well for me, but double and triple tapping didn’t. Instead of advancing to the next track, double-tapping often paused the music instead. I reached out to Libratone about this problem, and they said that you need to keep your fingers spaced apart. I tried that, holding two fingers in a v-shaped "peace" sign. It worked better, but it was still quirky about 40 percent of the time. Finally, after holding three fingers in the shape of a stool leg, I was able to get the forward and reverse to work reliably and predictably. Gesture control shouldn't be so hard to master. The right ear cup with the Nightingale features a lackluster gesture control panel. Engaging Siri was easy, but it took two to three seconds too long. You need to press and hold the touch interface with two fingers for about five seconds to summon her. If you’re used to the cadence of using Siri with the iPhone’s button, this subtle delay will drive you nuts. One of the better features is called Hush: Hold the palm of your hand over the right ear cup and in about three seconds, whatever you’re listening to will pause and you can hear the outside world. It’s a great feature for listening to announcements. The effect isn’t completely natural, though. You can tell that the headphone speaker is playing outside sounds; nevertheless, it didn’t suffer from the same tinny, cybernetic sound that plagued the Sony MDR-1000X headphones I reviewed previously. Finally, you can control the Libratone Q Adapt’s variable noise cancellation by pressing a dedicated function button on the lower back of the right ear cup. Depressing the button advances the noise cancellation level and then loops it from the beginning. Aside from the double- and triple-tapping issues, there were other quirks I experienced where Hush would engage when tipping my head or gripping the outer rim of the ear cup. I did a quick test after updating the firmware, and all the issues I experienced seemed to have been resolved. I wish this firmware had come out when I had started my testing! I'm sure many early buyers will never think to look for a firmware update that will improve the product, but that's a whole other discussion. Features and peculiarities aside, what sets the Libratone Q Adapt apart from the competition is it’s CityMix adjustable ANC technology. You can choose from four CityMix level settings, and the “hush” feature I described above makes it five. 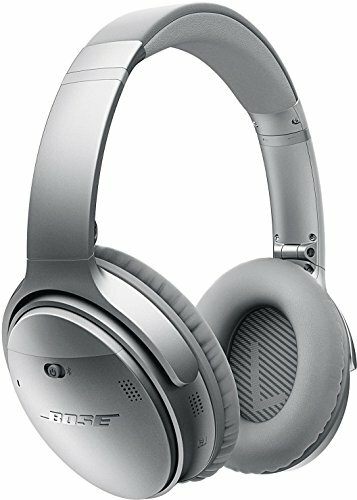 Logically, you’d expect level one to be the least amount of noise cancellation and level four to be the highest. It doesn’t work that way. In reality, from my testing what I noticed was as follows: Level two is actually neutral, where ANC is essentially off. Setting the headphones to level two and then turning them off produced negligible difference. Setting one lets in ambient noise and plays it through the headphones’ drivers. It’s like a speakerphone to the outside world. 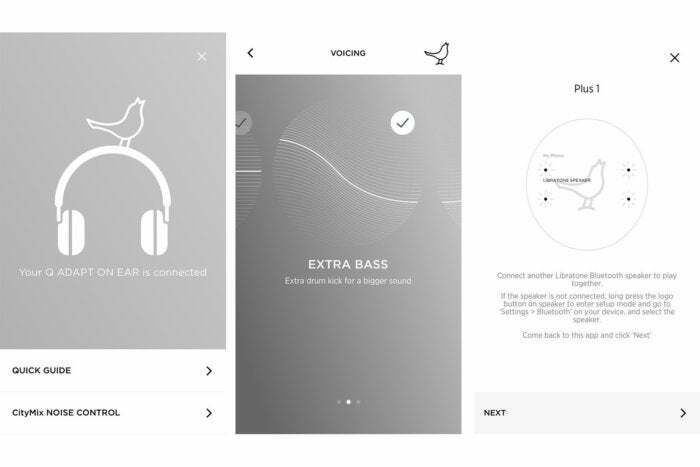 Through the Libratone App you can set the amount of active noise cancellation or determine how much of the outside world to let in. Level three kicks in a low level of ANC. Level four activates the highest level of ANC. In actuality, then, level two is equivalent to ANC off or zero. Level one is really left of zero at -1 and Hush is -2. Level one and Hush actually let more outside sounds into your headphones as opposed to masking noise. Level three, therefore, is +1, and level four is +2. Confused yet? Once you understand this basic premise, the headphones make much more sense to use. I took the Q Adapt with me in a variety of settings in New York City, including the subway and walking around the city. Here’s a rundown of my experiences: Level one tries to turn the on-ear experience into earbuds. You can hear music, but also what’s going on around you. Because the outside is pumped to your ears via the Q Adapt’s headphone speakers, you don’t get an even sound; some frequencies are amplified more than others. Word to the wise, don’t use level one when it’s windy out or you’ll regret it. Level two is like having ANC off. The outside is muffled by the ear cups, but it's not completely blocked. ANC kicks in at level three, where the outside world takes an immediate back seat. Level three reduces the noise floor and masks outside sounds. There’s a clear difference in the noise-cancelling algorithm used between level three and level four. In fact, you might find yourself bouncing between the two levels to see which one you like best in a particular setting. I found that level three is the best mode when you’re outside walking and in windy conditions. In some slightly windy conditions, it actually blocked out almost all wind noise and performed better than CityMix level four, which amplified wind noise. I also had the ability to hear certain important spacial cues while walking, so that I wasn’t totally in my own world. All in all, I’d say this is the best option for medium-noise environments. 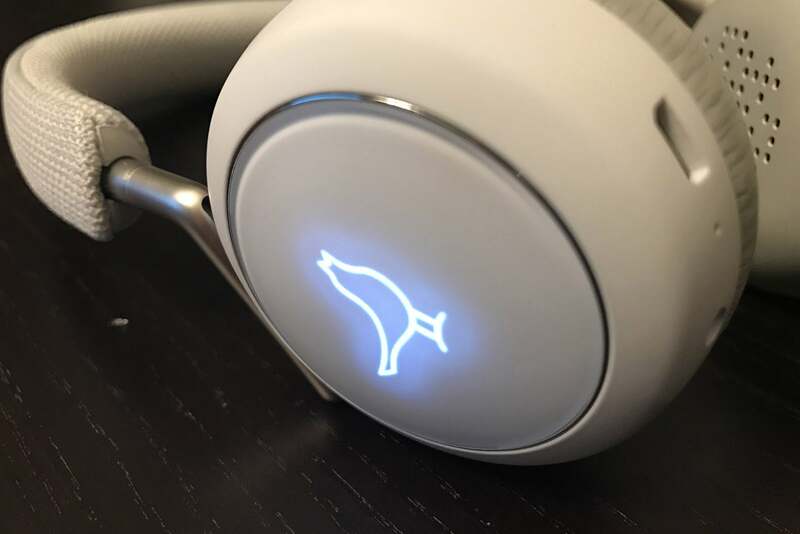 The Nightingale on the right ear cup lights up when you change settings. You have the option of turning it on all the time via the app. CityMix level four is clearly geared toward environments with engine noise and is best compared to the performance on premium ANC headphones. It excelled in environments with rumbling and engine noise—such as on a subway or train. In fact, when I was on the train in New York, CityMix level three let in some of the train’s rumble, hum, and creaks as it moved along the tracks. Kicking things up to level four was the difference maker, where I now primarily felt certain physical sensations as opposed to hearing them, too. The drawback with CityMix level four is that ANC pressure builds up. If you’re sensitive to that “underwater feeling,” then you’ll feel it full swing. On a few occasions, I could feel the pressure in my sinuses. When I turned CityMix off, I could feel my face decompress like a balloon being emptied of air. I didn’t get the same oppressive sense with either the Bose QC35 or the Sony MDR-1000X; then again, sinuses tend to be more sensitive during winter months. You can update the firmware and check the Q Adapt's battery status via the app. Bottom line, the Libratone’s noise cancellation technology is very effective, but I’m not sure I’d put it quite at the level of the Bose QC35, Sony MDR-1000X, or AKG N60 NC. Nevertheless, its ingenious CityMix levels empowers you with the ability to tailor the amount of ANC to your taste or to the environment at hand, and its Hush need-to-hear-what's-going-on tech is the best that I’ve tested to date. All in all, the Libratone Q Adapt is a stylish and distinctive wireless on-ear headphone. Its musical presentation is natural and well balanced for just about any genre. The updated firmware is a must and fixed a long series of frustrations I had. Instead of a mixed recommendation, I can finally say that the Libratone Q Adapt is worth it if you want a headphone that offers the ability to turn the world on or off at your command. Adjustable noise cancelation lets you determine how much of the outside world to let in, but several quirks keep it from earning a spot in the upper echelon.